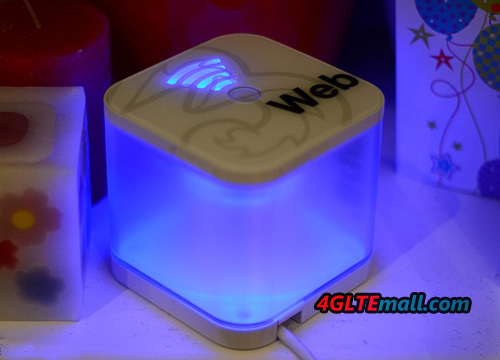 If you have a Webcube White Huawei B183, you may get familiar with the speed box function. Actually, it’s a stationary wireless router; Huawei makes it a special design like furniture, so the WiFi router could perfectly get involved with the White goods in house. Based on the function, Huawei wireless router belongs to Household appliances, however, the network property makes it different from other furniture. With more and more creative design, the boundary line between furniture and networking devices are more and more vague. Huawei E8259 speed box just this kind of product. 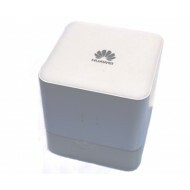 When we see the Huawei E8259 at MWC 2013, we didn’t think it’s a WiFi router, after checked the specification on the stick, we get to know it’s the successor of Huawei B183 WebCube White Router. The appearance of Huawei E8259 is not like the usual 3G router, such as Huawei B683 or B970b. It looks like a small box in pocket size. The most important feature should be the connection speed, upgraded from Huawei B183, Huawei E8259 supports up to 42Mbps download speed, which is double faster than B183. And with upgrade in firmware, HUAWEI E8259 could better support up to 32 users to get connected with the internet and surfing. HUAWEI E8259 also supports 2 * 2 WiFi at 2.4GHz and 5 GHz, which would reach up to 300Mbps download speed. As a wireless router, HUAWEI E8259 could edit, receive and sending SMS. And it also supports the basic functions as a wireless router: DHCP Server, NAT, DNS Relay, Router, fire wall functions. If you want to check more details, please check www.4gltemall.com .